When it comes to the aging face, there are some trending areas of wrinkles and fine lines that we want to erase. Discussions are often centered around the “11’s” (vertical lines between your eyebrows), crow’s feet, smile lines, forehead lines and nasolabial folds. But what about bunny lines? Bunny lines refer to the horizontal or diagonal wrinkles we get on the side of the nose when we smile or scrunch up our nose. Bunny lines may sound cute, but just like crow’s feet or forehead wrinkles, they can be an unwanted sign of an aging face. Bunny lines likely got their name because they resemble a pair of rabbit ears or whiskers as they extend out from the nose in a diagonal or horizontal fashion. While bunny lines naturally occur with years of smiling and the natural aging process, they can also be a telltale sign of a poor Botox job elsewhere or in those who may have received an abundance of Botox injections in the forehead or glabella region (between the eyebrows). When these targeted muscles become too frozen or paralyzed, the muscles on either side of the nose may overcompensate and become hyperactive when smiling or frowning to make up for the lack of movement in the forehead and around the eyes. This often contributes to unwanted bunny lines, and in this case, they can be termed “Botox bunny lines.” A skilled injector, however, understands the risks of creating too little movement in facial muscles and inadvertently causing lines or wrinkles in other areas of the face. 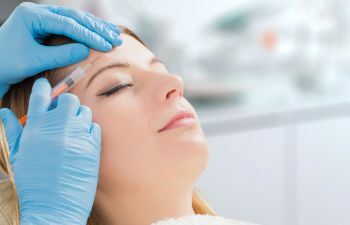 In the right hands, Botox can be very effective while also allowing natural expression. 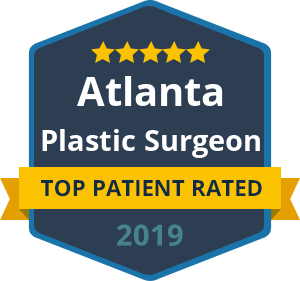 At the office of leading plastic surgeon Dr. Ben Talei, it is very common to treat bunny lines, especially in lighter skin patients. However, many opt for treating bunny lines at the same time as addressing crow’s feet. These are distinct lines or wrinkles that occur with the same expression of the face. While some patients may focus on their crow’s feet and overlook bunny lines, it should be noted that treating them gently can really improve the skin quality. The only real risk is that an unskilled injector may inject too low or too far laterally and drop the smile unintentionally. Therefore, it is imperative that you choose an experienced and talented facial plastic surgeon for the job. Why Botox for Bunny Lines? Both Botox and Dysport work very well for bunny lines because these creases are caused by the underlying procerus muscle. This muscle allows for that expression that people have when they smell something bad. Botox weakens the muscle and the wrinkles smooth out over the following several weeks after injection. Fillers, such as Juvederm or Restylane could be used to fill in these creases, but a dermal filler would fail to treat the underlying cause of bunny lines and may make the bridge of the nose look bulky or wide. Occasionally people who do pay attention to the area of the bunny lines also notice red marks, vessels or moles, and these can be non-invasively treated with a laser alongside Botox. Are you overlooking your bunny lines? Have you developed bunny lines after years of too much Botox in your forehead? Consider Dr. Ben Talei in Beverly Hills. He has been treating the bunny lines or “tiger snarl” for many years with excellent results. We offer a full line of facial injectables so that you can turn back the hands of time without going under the knife.